You may be wondering what photos of worms and food scraps are doing on a fiber artist's website. A valid question. Since gardens figure prominently in my work and I am an avid gardener, the health of the soil and the plants is important to me. There's no better way to improve soil than by adding compost. And even better than regular compost is vermicompost--compost produced by worms in an indoor worm bin. Learn more here! What is vermicomposting? Vermicomposting is also known as red worm composting. It is a process of turning kitchen scraps into compost as worms eat the food and bedding and produce castings which serve as soil conditioner and rich source of plant nutrients. Vermicomposting is done all over the world and is being used on a large scale in India and Cuba. It is also fairly common in California. Vermicomposting can be done indoors or outdoors, but with Maryland’s hot summers and cold winters, red wiggler worms would likely die outdoors, so this paper will focus on setting up and maintaining an indoor worm bin. -It’s a good way to compost for people who don’t have space for a compost pile (or who don’t like to go out to the compost pile to dump their food scraps in the middle of winter). -It’s easy, inexpensive to set up, and educational. 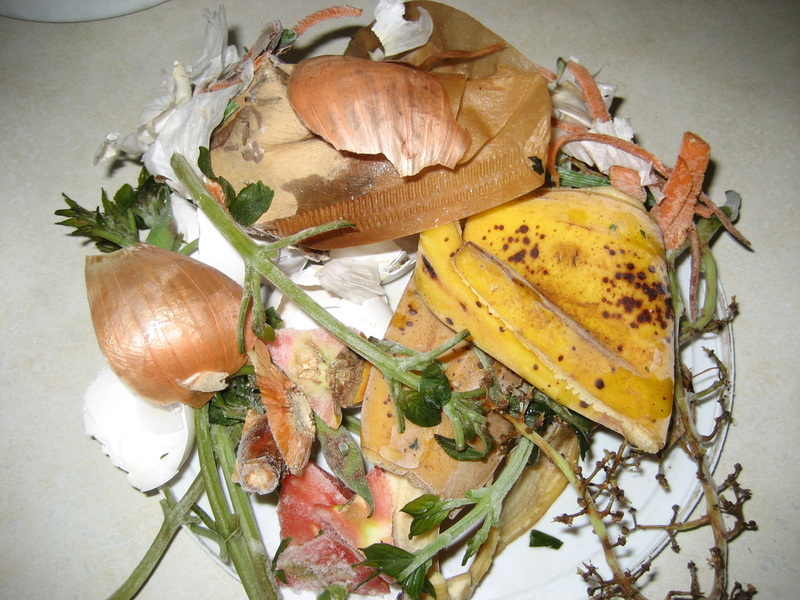 -The first results of composting become visible in about a month. -It is a great project for children. -It produces very high quality compost. •It is easy and inexpensive to make your own bin. Directions for making a simple homemade bin or a stacking bin can be found at the end of this paper*. •Location for the worm bin: Red wigglers do best in a location where the temperature range is between 55 and 77 degrees and is out of direct sunlight. 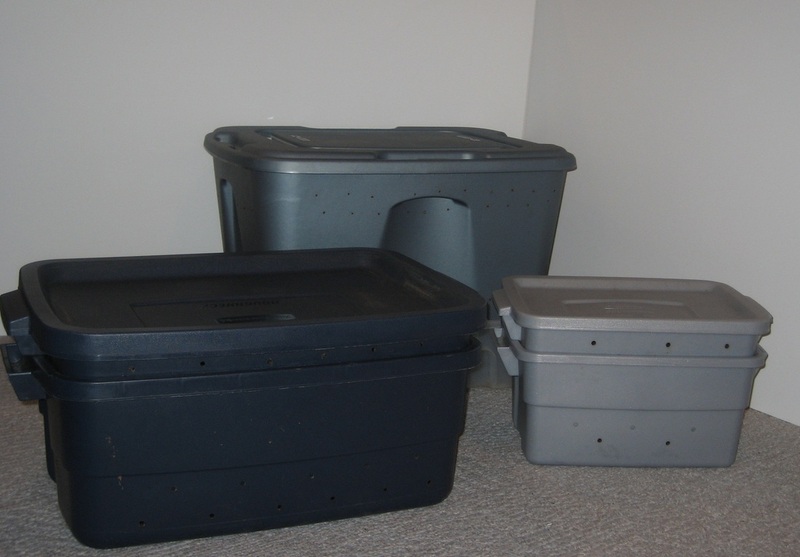 The kitchen and basement are common locations for worm bins. In areas with milder summers and winters, worm bins are often kept in garages or on porches. (Note: If the worm bin is kept outside for any part of the year, more insects will take up residence in it. This may be undesirable if the bin is brought inside for the winter and can best be avoided by keeping the bin inside all year long). •It may take the worms a few days to “settle in” to their new home and for the bacteria in the bin to reach the levels preferred by the worms. During those first couple of days, it is normal for worms to crawl on the sides and top of the bin. Leaving a light on outside the bin for a couple of days will discourage worms from exploring outside the bin. -Leaves/straw. (If leaves or straw are used, insects that are on them will also move into the bin). Fluff the bedding materials after adding to the bin. Eisenia foetida. Also known as red wigglers, manure worms, compost worms, or redworms. They are epigeic worms, which means they live in surface litter and feed on decaying organic matter. They do not make permanent burrows. 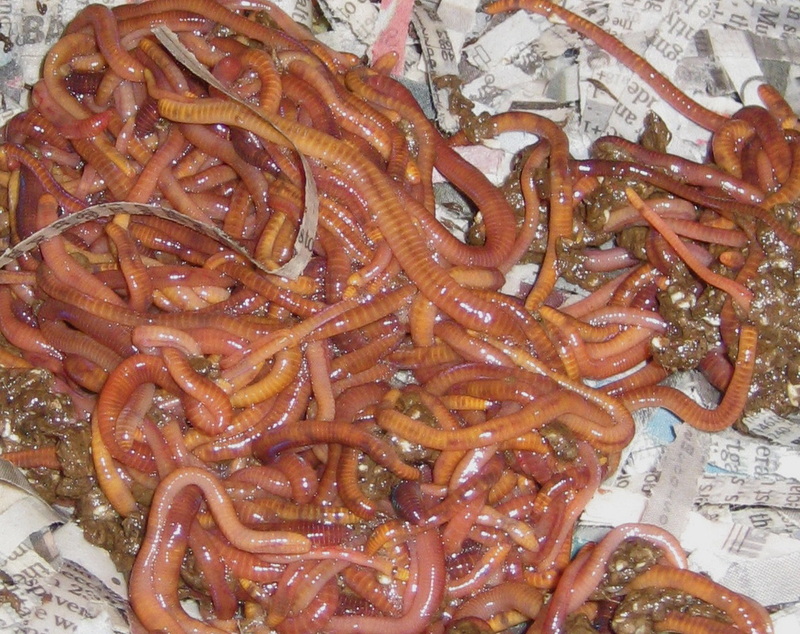 -One pound (approximately 1000 worms) is a good amount to start a home worm bin. -Do not use night crawlers as they make deep, permanent burrows and are not well suited to living in an indoor bin. -There are 4500 different species of worms. Most are not suited for an indoor worm bin. It is therefore inadvisable to try to start a worm bin using worms from the garden. -While red wigglers are not native (they come from Europe), most experts are agree that they are not invasive. Extreme temperatures will kill them. -One pound of worms can process approximately 3.5 pounds of food scraps per week. Start out somewhat slowly—you don’t want to overload the bin and create anaerobic conditions. Gradually increase the amount of food. -Worms prefer food that has already been worked on by bacteria and protozoa, so they will eat the food in the bin after it has been in there several days. -The worm population will increase if the food is plentiful and will decrease if the worms need to compete for food. -Feed worms 2-3 times a week. Bury the food shallowly under the bedding or pocket-feed. Add extra dry shredded newspaper on top of (or mixed in with) the food if the food has a lot of moisture in it. Food should be covered by a 3-4 inch layer of bedding. Rotate locations for food. Add new food as soon as you see that the worms are beginning to “work” the food you previously buried. -Freeze for 24 hours or microwave until it bubbles to kill fruit fly eggs and larvae. Bring to room temperature and drain excess liquid before placing in worm bin. -Chopping the food provides more surface area for the bacteria. But avoid putting the food in the blender and making a slurry because this may lead to excessive wetness in the bin. -Don’t put in large amounts of raw onions or garlic and avoid too much citrus. Orange rinds contain limonene and may be harmful for the worms. Foods in the cabbage family take a long time to break down unless they are pre-treated by freezing or microwaving. -Since vermicomposting is a cold composting process, any seeds you include with the scraps may sprout in the bin or when you use the compost. Some people avoid adding seeds to their bin. •Coffee grinds and filters, tea bags. -Excessive amounts of coffee grinds may lower the pH of the bin. •Eggshells-dried and pulverized. -The eggshells will help keep the bin from becoming too acidic and may be an important factor in worm reproduction. -Too many grains may cause the bin to “heat up”. A healthy worm bin contains more than just worms. In setting up a worm bin, you are setting up a small eco-system. There will be other critters in the bin. Most aid in decomposition. -Mites-White or brown mites won’t hurt the worms. Large populations may indicate that the bin is too wet, so add more dry bedding and/or leave the lid off the bin for a while to let it dry out a bit. Melon rinds and/or slices of potatoes or bread can be used as “bait” for a day or two to attract some of the mites, and then the bait can be removed to the outdoor compost pile. Large populations may also indicate that the pH is too low. Red mites can kill worms. (Red mites are bright red). -Soldier flies/soldier fly larvae- The larvae are voracious composters. If you don’t mind having them in the bin, you’ll need to add extra food to accommodate their eating habits. They’ll fly away when they’ve reached the adult stage. -Centipedes will kill worms. Remove and put in regular compost pile. Centipedes are territorial, so you usually won’t find more than one. -Ants Bedding may be too dry. Moisten it a bit. Bin’s pH may be too low-add eggshells. Smear a line of Vaseline or chalk under the line of ventilation holes where the ants might be entering. Put the bin’s legs in a moat of water. -Fruit flies Pre-treating food by freezing or microwaving usually prevents fruit flies from coming in with the food. If some enter from ventilation holes, try using traps from yellow sticky paper. Vinegar traps may help too. Severe infestations can be cured using beneficial nematodes (Steinernema feltiae or Steinernema carpocapsae) or Bt (Bacillus thurungiensis var. israelsis). Wrapping the bin in mosquito netting or in a sheet will prevent fruit flies from entering the bin from the outside, and will contain an unruly infestation while you are getting it under control. -Fungus gnats.-Fungus gnats look like fruit flies, but their eyes are not red. They are also slower and easier to catch than fruit flies. They prefer environments exactly like the worm bin—moist with lots of decaying matter. Beneficial nematodes or repeated applications of Bt will cure a serious infestation. Wrapping the bin in mosquito netting or in a sheet will prevent fungus gnats from entering the bin from the outside, and will contain an unruly infestation while you are getting it under control. -Soldier flies/soldier fly larvae- Some people love having them in the bin; others hate them. They will fly away once they reach the adult stage. -Red wigglers are photophobic (sensitive to light). -Worms’ skin is sensitive to both moisture levels and light. -Worms have no lungs and breathe through their skin. -Worms have no eyes or ears. -Worms have no teeth and use their gizzards to grind food. -Worms may have up to 5 pairs of hearts. -Worms are segmented. Worms can be identified by counting segments and by the location of the sexual organs. -Red wigglers can live up to 4 years. -Worms’ bodies are 75-90% water. -The worm population will increase if food is plentiful and will decrease if they need to compete for food. -The presence of a clitellum (light colored band around the middle of the worm) indicates that the worm is sexually mature. -Red wigglers produce lemon shaped cocoons which change color as they grow. After about 21 days, 2-3 worms hatch from each cocoon. -Under ideal conditions, worm populations may double in about 2-4 months. •Check bin regularly to note any problems and to observe worms, their cocoons and baby worms. •Worms trying to escape indicates that the bin is too wet or too dry. •Bin smells bad -Too much food has been added at one time. Remove some food and cut back on the amount of food that worms are fed. It takes some time to get a worm system up to full production. -Something has been put in the bin that doesn’t belong there and it has become rancid. -The bin needs more air. Add more ventilation holes and fluff up the bedding. -Leachate may have accumulated in the catch-bin under the drainage holes and needs to be emptied out. -Add extra bedding. Add more drainage holes. •Dump and sort: Don’t feed the worms for 2 weeks before you plan to harvest. They will finish of most of the remaining food and bedding. Harvest by dumping contents of bin onto a tarp. Separate the contents into small piles. Shine a light on the compost piles. After about an hour, most of the worms will have moved to the bottom of the piles to avoid the light and will be huddling together in a ball. Scoop out the ball of worms and put the worms back into the worm bin (with fresh moist bedding , new food and any unprocessed food or bedding from the bin you are harvesting). The castings remaining in the pile should be relatively worm free. Allow an hour or two for this process. If you feel the need to take a census, this method is the best. •Lateral migration: Harvesting can also be done by moving the contents of the bin to one side, putting fresh bedding in the other side and beginning to feed in the new side. Worms will gradually migrate to the new side and the other side, which will be mostly castings, can be harvested. This takes a very long time and a lot of patience, but requires little effort on your part. •Vertical migration/Layers: After a while of feeding the worms (about a month or so), begin feeding in layers. Lay a piece of fiberglass window screen on top of the bedding and continue feeding on top, adding new bedding along with the food. Repeat this process. Worms will gradually move to the upper layers, which can then be lifted off and put into a new bin. In theory, what remains behind should be mostly worm castings. Some commercially available worm bins rely on this vertical migration system. Also, the homemade stacking bin system uses vertical migration to facilitate harvesting. •Division: Stop feeding the worms for a week or two. Remove half of the contents of the bin (worms and castings) and use in garden. Add fresh bedding and food to the newly vacated area. The worm population will gradually build back up to the original level. •Stop feeding. Worms will finish processing the food and bedding and will die off and their bodies will decompose. You can harvest several month later. If you wish to continue vermicomposting, you will have to purchase new worms. Plus, it’s not very humane. 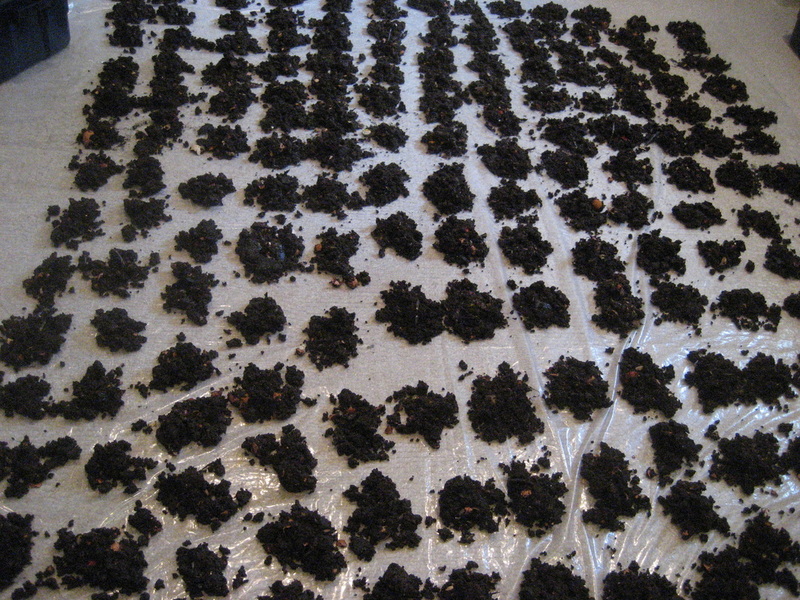 •Some people say to use the vermicompost right away; others say to let it “cure” a bit. There may be cocoons in the vermicompost that will hatch and the worms can then be put back into the worm bin. (Some people choose to freeze the vermicompost or put it in a black plastic bag and put it in the sun for a few days to kill any remaining worms. The black plastic bag/sun method may result in bad smelling vermicompost). •After harvesting, the castings may be pretty wet. It is not necessary to dry the castings before use, however drying them slowly will produce a nice, fluffy soil amendment. Be careful not to let the castings dry out too quickly or too completely, otherwise you may produce a hard rock-like substance that is difficult/impossible to re-wet. •Store casting in a Rubbermaid bin or large bucket with holes drilled in the lid until you ready to use. •The castings can be used on houseplants, container plants and in the garden. •You can also make compost tea to use to water plants. (Add some castings to water, mix, aerate for about 24 hours and use within 12 hours). •Research has shown that vermicompost has higher levels of plant available nutrients than does regular compost and higher levels of beneficial microbial activity. Studies have also shown that vermicompost stimulates plant growth, suppresses disease and may repel pests. So, while there are some basic principles that will keep your worms happy, healthy, and productive, there are few hard and fast rules. You will need to experiment to find out what works best for you and your worms. -You need an opaque plastic storage bin with a lid(approximately 10-14 gallons -- not larger than approximately 18x24x18t. The bin should not be not too deep or too big. -Add ventilation holes –a couple of rows of ¼” holes drilled in the sides (beginning about 4” from the top, at 2” intervals). -If the bin gets too wet inside, you may need to add ¼” drainage holes, as described below. Simple homemade bin .You need 2 opaque plastic storage bins with lids (approximately 10 gallons) The bin should not be not too deep or too big. -Add ventilation holes – ¼” holes drilled in the sides (a row about 4” from the top, at 2” intervals) of one of the bins. -Add drainage holes (About 24 holes in the bottom of one bin- about ¼” in diameter). -Stack it inside the other same-sized bin with some ventilation holes drilled in the sides, about 3” from the bottom. A stacking homemade bin with holes in the bottom of each bin is also easy to make. (I prefer this type of bin). This bin design facilitates harvesting. -Use 3 opaque 10 gallon bins with lids (Rubbermaid roughneck totes, which measure 15”x21”x8”, work well). -Bins 1 and 2: Drill approximately 30 1/4” drainage holes in the bottoms of 2 of the bins. Also drill a row of drainage holes on the lower edge of the sides of these 2 bins. Space these holes about 2” from the bottom of the bin and about 2” apart. Also put a row of ventilation holes about 2” from the top edge of the bins (these holes can be smaller in diameter). -Bin 3: Drill 1/4” ventilation holes on the bottom third of the sides of this bin. The lowest row of holes should be about 2” from the bottom of the bin. Do NOT drill any drainage holes in the bottom. This bin will be the bin that is at the very bottom of the construction and will catch the leachate that drains out of the other bins. -Stack bin 1 inside of bin 3. Place bedding material, worms and food inside of bin 1 and cover with lid. After 1-2 months of feeding, put bin 2 on top of bin 1 with bedding material. Continue feeding in bin 2. After 1-2 months, the many of the worms will have migrated to bin 2 and you can harvest bin 1. -Be sure to empty the catch bin periodically. A lot of moisture can accumulate using a stacking bin system. The Earth Moved: On the Remarkable Achievements of Earthworms, Amy Stewart, Algonquin Books of Chapel Hill, 2004 (Lots of interesting and historical information about worms).